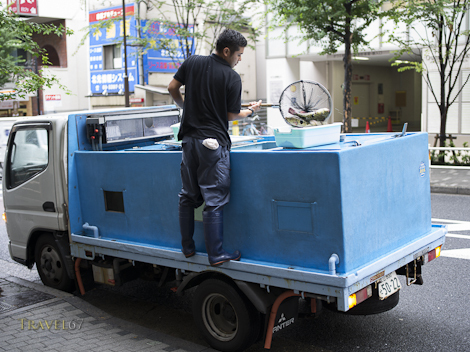 While in Shinjuku for my exhibition, I came across this unique delivery truck. 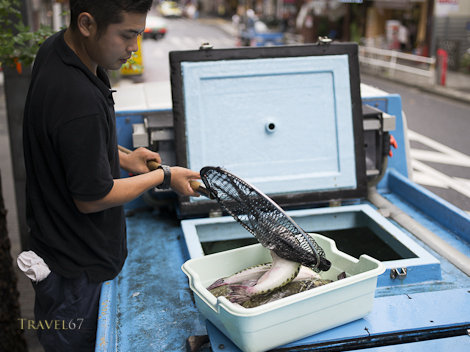 It was parked outside a restaurant and the driver was restocking the restaurant’s aquarium with fish. Aquarium is probably the wrong term, as it’s more like a holding pen before the fish meet their maker. 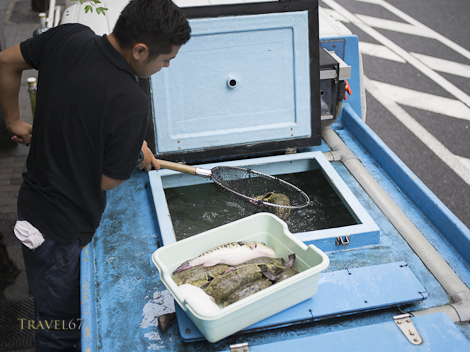 They swim around in the glass tank, unaware that a few hours later they will be sliced up for Tokyo’s gourmands. However, even after their own demise, these particular fish can get their revenge. 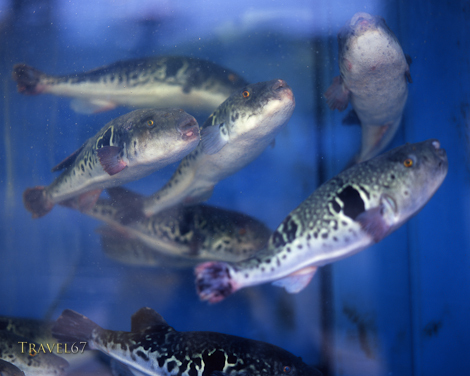 The fugu, or pufferfish, contains tetrodotoxin that if ingested by a diner will paralyze muscles leading to asphyxiation and death. Prepare the fish incorrectly and the chef can inadvertently kill of his clientele. 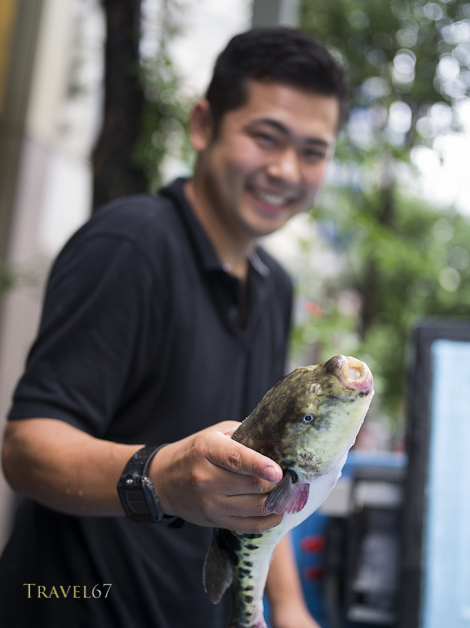 Unsurprisingly, fugu chefs have to be specially trained and have gained a fugu license before they can serve the fish to the public. On a previous trip I photographed a chef with his license. 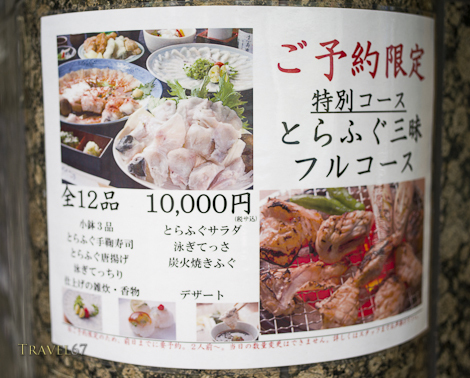 For 10,000 yen, you can try 12 different dishes made with fugu. 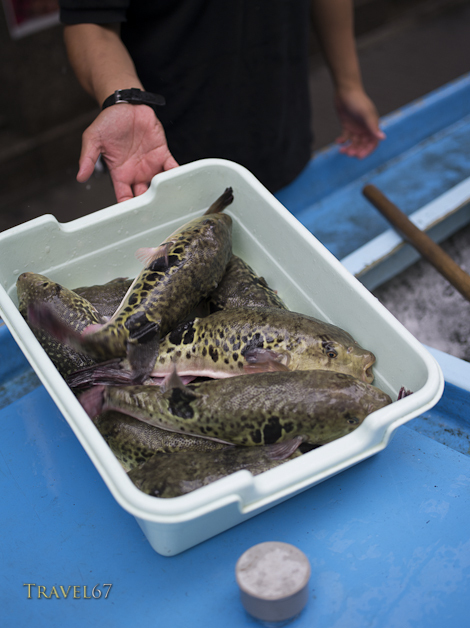 Or, if like me, you prefer to see fish swimming in the sea than dead on your plate, you can watch Homer give fugu a try in One Fish, Two Fish, Blowfish, Blue Fish. I like to see them swim free too!